In 1851, U.S. President Millard Fillmore appointed Brigham Young as the first governor of the Utah Territory. 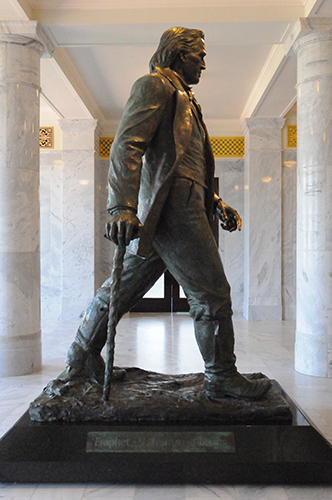 Kraig Varner sculpted this monumental bronze statue of Brigham Young. Varner chose a young, striding likeness of the civic leader, church president, and regional colonizer. In the larger-than-life portrait, Varner captures the personality of the man historians often refer to as the American Moses.